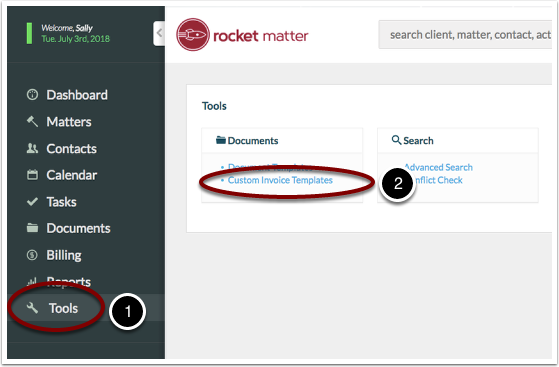 Rocket Matter Knowledge Base Insurance Defense Package - LEDES Billing- NEW!How to insert LEDES information to my invoice template. 1. Navigate to 'Tools' in the left-hand navigation panel. 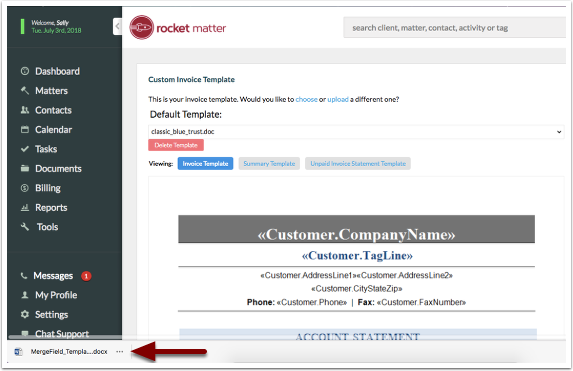 Then, select 'Custom Invoice Templates'. 2. On the right-hand side, click on 'See a list of all available fields. 3. 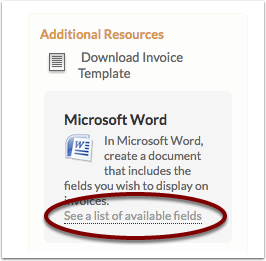 This will download the merge field list in a Microsoft Word document. If you don't see it appear on the bottom right of your screen, check your downloads folder. 4. 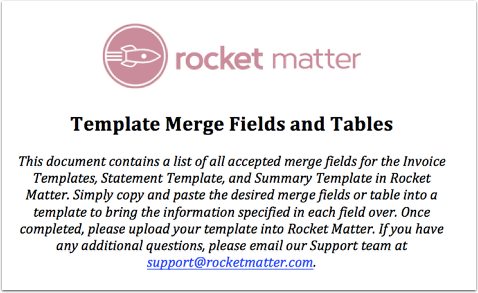 Click and open the Merge Field document. 5. Scroll down on the document and view and select from the following available LEDES merge fields. Prev: How to audit LEDES billing. 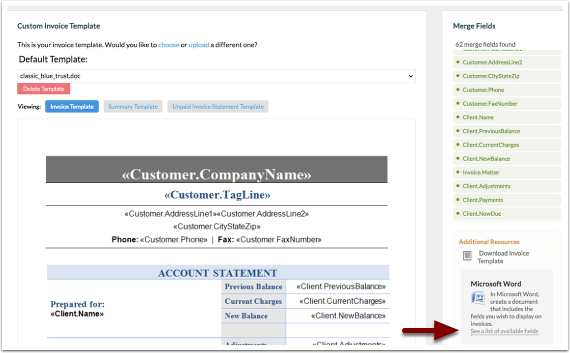 Next: How to run a collections report showing payments and adjustments towards invoices for LEDES billing.